If you want a home improvement project that can not only make your home more valuable but also much more energy efficient then consider getting your home’s windows replaced. Getting replacement windows in Downriver Michigan installed in your home can help to make the home much more energy efficient and has many advantages. When you talk with a windows contractor in Downriver Michigan to replace your windows they may ask you about new construction or replacement windows. While both have huge benefits over older windows there are some things you’ll need to consider when taking on this home improvement project. Many homeowners in Downriver Michigan are often posed with the conflict of whether they should choose new construction windows or replacement windows for their homes. After all, are they really that different? 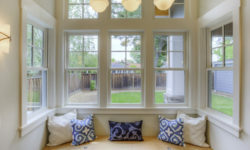 Continue reading to learn about the basics of new construction windows and replacement windows, so you can decide which type of window is right for you. New construction windows are named pretty self-explanatory. In other words, new construction windows are intended to be installed in homes that have recently been built or new additions. Since new construction windows are designed for new additions to a home, they can only be directly installed through a nail fin frame. Then, the home’s exterior can be completed. If you’re interested in new construction windows, but already have a home, your contractor in Downriver Michigan can still use them. But, it will be pricier because your contractor will have to remove your home’s siding and expose the frame. It should be noted that new construction windows might not be an option for homeowners with stone or brick exterior because those materials cannot be manipulated or removed in the way that other more modern siding materials are manipulated and removed. Since contractors have to remove siding to expose your home’s frame, new construction windows are a great option for homeowners who want to replace their siding because their contractor already has to rip up their siding in order to install their windows. If you’re interested in replacing your siding, make sure you consider styles, colors, and cost. Lastly, new construction windows can greatly vary in price. Like any other aspect in a home, the price ultimately depends on the size, shape, and materials used to install your windows. 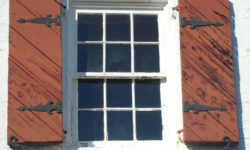 Typically, new construction windows are directly installed, and therefore there aren’t any size or shape restrictions. Contrary to new construction windows, replacement windows are designed for homeowners who want to replace their current older windows with modern new ones. While replacement windows can be used for just a window replacement, they’re also commonly used in home renovations. It’s important to note that replacement windows are also referred to as retrofit windows. Like new construction windows, replacement windows come in a variety of sizes, shapes, and styles. They can even be custom designed to fit the specific aesthetic and needs of your home. So, don’t worry about finding the right replacement windows for your current home. Other perks of replacement windows include; high performance, durability, Low-E coating, spacers, and argon gas fills. Also, replacement windows are often cheaper than new construction windows because not as much material or labor is needed because your contractor won’t have to deconstruct your siding to expose your home’s frame. 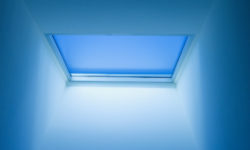 Instead, your contractor will simply open your old window, remove it, and replace it with your new window. 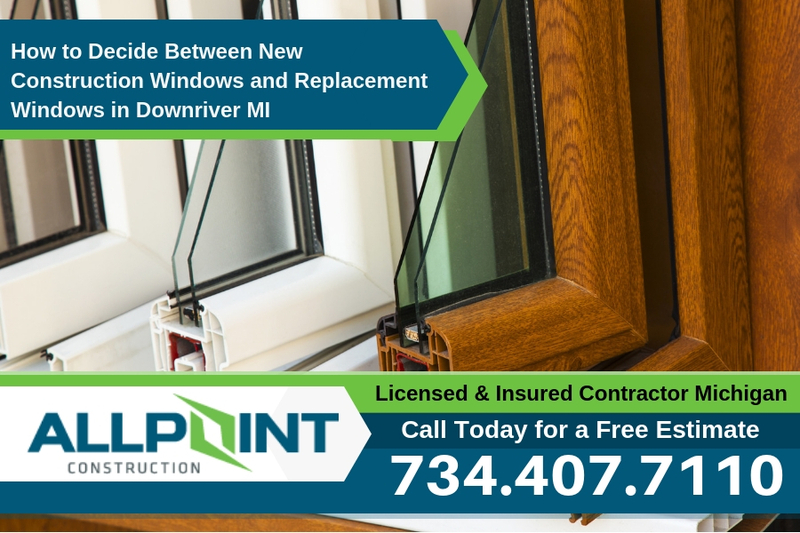 New construction windows and replacement windows in Downriver Michigan are two great window options. Both can be a great home improvement project that you can invest in and get a great return. If you’re building a new home, have recently added a home addition, or want to replace your siding, then new construction windows are a great option for you. But, if you already live in a home you absolutely adore and just want to upgrade your windows, then replacement windows is the better option for you. Be sure to contact your local contractor today for more information about new construction windows and replacement windows. One of the best is All Point Construction in Allen Park Michigan. Call them today at 734-407-7110 for a free estimate on replacing your home’s windows.